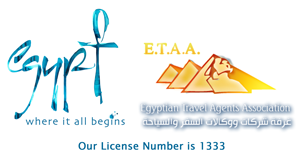 Travel Egypt from the comfort of your armchair! Egypt is a tale written on the stones that litter the country, from Egypt’s hieroglyphs, carved on every ancient monument, to the random array of letters & symbols from all the world’s languages, carved on the façade of the modern Bibliotheca Alexandrina. One of the best ways to make an Egyptian journey enjoyable is to read up on it. In no particular order, here’s our selection of books, travel novels, biographies and memoirs that will inspire your next Egypt travel adventures. » The Cairo Trilogy, by Naguib Mahfouz Epic tale and an insightful portrait of 1940s Egypt. This classic Egyptian family drama takes you into the heart of the Old City. » The Cheapest Nights, by Yusuf Idris A literary contribution to Egyptian short fiction. Superbly crafted short stories, mainly about poverty, sexual and cultural mores in the early 1950s. » The Zafarani Files by Gamal al-Ghitani A novel that provides insightful perspectives of everyday life in Old Cairo. A little-known classic. » Egypt on the Brink by Tarek Osman From Nasser to the Muslim Brotherhood. A timely account of Egypt in the last six decades. » Cairo: My City, Our Revolution by Ahdaf Soueif The title says it all – an engaging journey through Egypt’s 25 January 2011 revolution – as it happened. » Apricots on the Nile by Colette Rossant Memories of Egypt, complete with mouth-watering recipes. » The Man in the White Sharkskin Suit by Lucette Lagnado A Jewish Family’s Exodus from Old Cairo to the New World. » The Literary Life of Cairo by Samia Mehrez Wonderfully entertaining extended walk through the heart of Cairo in the last 100 years. » The Yacoubian Building by Alaa Al Aswany A novel set in a Cairo apartment building as a microcosm of Egyptian society. A lively portrait of modern Egyptian life. » The Pharaoh’s Shadow by Anthony Sattin This book connects ancient and modern Egypt. A memoir of Egypt as seen by three famous writers. An ambitious mix of myth, history and autobiography. » Lifting the Veil by Anthony Sattin Two Centuries of Travellers, Traders and Tourists in Egypt. A masterful account of one of the most exciting periods of exploration. » Ancient Egypt, An Introduction by Salima Ikram One of the best overall books on the life and monuments of ancient Egypt. All the magnetism of ancient Egypt – an invaluable introduction. » The Nile by Toby Wilkinson Downriver Through Egypt’s Past and Present. A renowned Egyptologist tells his story of this great civilization. » Cairo: The City Victorious by Max Rodenbeck A celebration through history and culture of this exciting city – brilliantly researched and authoritative book. » A Thousand Miles Up the Nile by Amelia Edwards This is a sensitive portrait of a pioneering woman. The description of the author’s life-changing Nile Dahabiya journey in 1873-1874. » Letters from Egypt by Lucie Duff-Gordon A fascinating record of her Dahabiya journey down the Nile and vividly describe the people she met and scenes she saw in Luxor in the 1860s. » Grand Hotels of Egypt by Andrew Humphreys This book tells the stories of Egypt’s historic hotels in the Golden Age of Travel. Well illustrated with vintage photographs. » The English Patient by Michael Ondaatje The true story of the desert explorer László Almásy. » Alexandria: City of Memory by Michael Haag A literary, social and political portrait of cosmopolitan Alexandria. This book encompasses five centuries of the city and its people in vivid, imaginative detail. 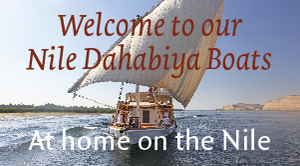 Literary Egypt Travel on the Nile: All these books and more can be found in our Nile Dahabiya Boats libraries.